Hello everyone. It’s Shannon here and I just returned from French Polynesia. I had the opportunity to see several of the Society Islands, French Polynesia: Tahiti, Moorea, Raiatea, Taha’a and Bora Bora. Each of these islands are different and have different things to offer. I can tell you that these are islands are like no other. First and foremost, the water color is like nothing you will see anywhere else in the world. Due to the lagoon and the different depths of the water, the color varies based on depth and it changes based on the sunlight. I have to tell you that it almost looks “fake” at some points, like someone painted the ocean floor light blue and lit it from underneath. You simply have to see it to believe and I would recommend Bora Bora for the best water color. Secondly, the service level from the French Polynesian people is top notch. They definitely are soft spoken, but you can expect that anything you ask for will be provided. I never carried my bags to and from my room. Third, every single place I stayed had wonderfully fresh and tasty food. I didn’t find that the prices were overly expensive, basically the same as what you would expect to pay in a large city in the United States. The wine lists are dominated by French wines and again I didn’t find the prices out of line. Tahiti: This is the largest island in the group, definitely the most populated. It VERY has a small selection of 4-5 star properties. The city of Papeete is going to give you the largest open market and the best shopping. The cruise ships do stop in the city, so it can get busy. I would recommend Tahiti for a few night stay at the beginning or end of your trip as it is home to the only international airport. Moorea: If you are traveling to Moorea, I would recommend taking the ferry from Tahiti. It is about a 30 minute ride and affords nice views to Moorea. This island does not have the lagoon like Bora Bora does, but the water is certainly still very pretty. If you are a snorkeler or diver, this is a good island for you. Many of the overwater bungalows are right on the coral shelf and the fish activity is wonderful. There are only a handful of 4-5 star properties on this island and it is certainly less expensive than Bora Bora. Raiatea: This island is home to the country’s capital and therefore has more public services available (think post office, hospitals, banks). It is also the jumping off point for many of the sailing excursions in the Society Islands. There are only three hotels on this island that we would recommend and none of them are 5 star. If you are looking for great diving and an island that is not overrun by tourists and people, this is a great choice for you. Taha’a: This island produces 80% of all of the world’s vanilla. There are no accommodations on the island itself. But it is certainly a lovely day trip for a jeep safari tour to see a vanilla farm and Tahitian Pearl farm. There is Le Taha’a on its own private island, which is a short boat ride from Taha’a, and is the only hotel available. And let me tell you, this was my favorite property on my entire trip. 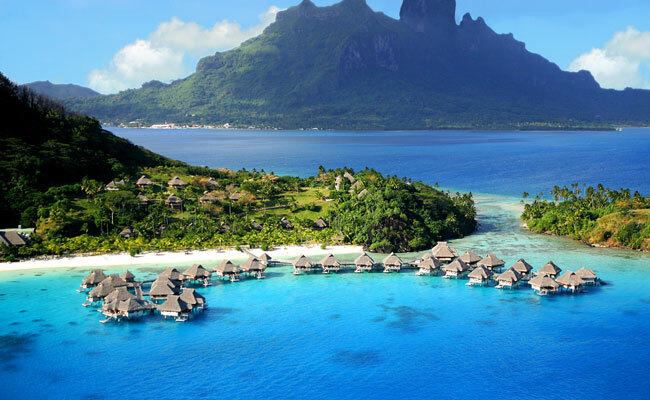 Bora Bora: This island definitely has more hotels available than any other ones in the Society Islands. Almost every single accommodation has overwater bunaglows where you can view that beautiful water and potentially Mount Otemanu. Most of the desirable hotels are going to be on the motus, which means you will need to transfer via boat to get to the main island for the famous restaurants. All hotels will have at least 2-3 restaurants available so the transfer is not mandatory for dinner. If you simply want to relax, enjoy the views, take in the spa and maybe swim with some rays and turtles, Bora Bora is perfect for you. 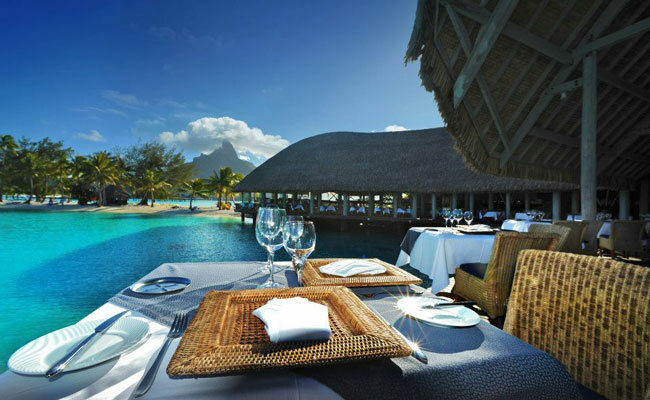 I would say Bora Bora is a CAN’T MISS if you are traveling to French Polynesia. 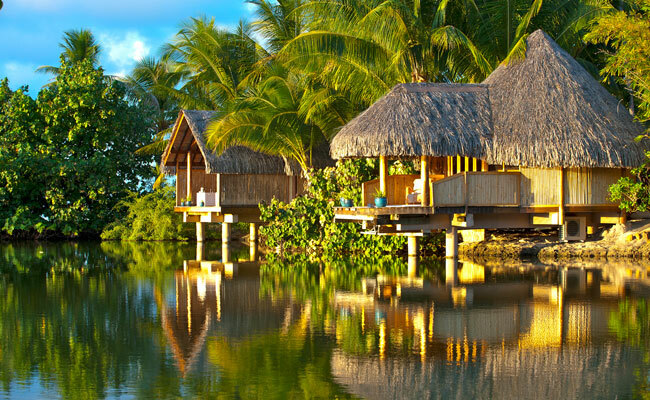 Ready to begin planning your own adventure to Tahiti and the rest of French Polynesia? Browse our custom Tahiti/French Polynesian vacation packages or email me at sbradley@downunderendeavours.com to start planning your trip of a lifetime!